Our partner Jose Luis Alvarez Alcala is a Mexican tree nurseryman, who has for decades been growing trees for reforestation projects. In 1997 he created Forests For Monarchs (FFM) also known as La Cruz Habitat Protection Program, an innovative non-profit designed to restore the Monarch's forest habitat and at the same time give indigenous people a desperately needed source of wood for cooking, heating and building houses. 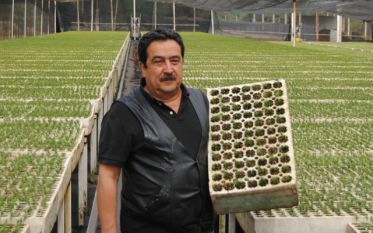 Jose Luis realized that if he could find financial support to produce millions of tree seedlings to give away, he could persuade local farmers and other members of rural communities to plant them on portions of their land. This would get more trees in the ground, and would also provide impoverished communities with their own forests from which to harvest wood. 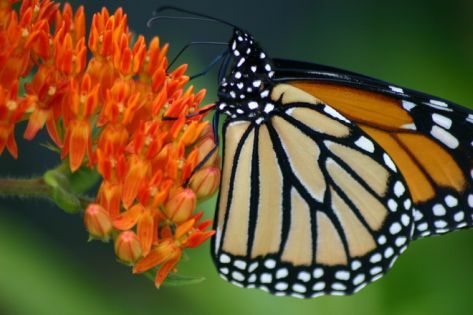 There would be no need to disturb the few precious remaining acres of original monarch habitat. Jose Luis has been helping locals plant sustainable forest areas ever since he started Forests for Monarchs in 1997. 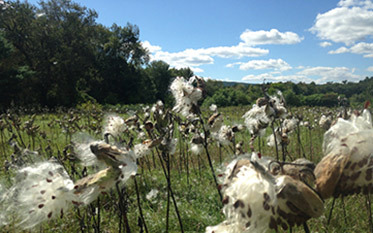 These woodlots provide habitat for the monarchs and other wildlife and they protect fragile mountain soils. They are sustainably harvested to meet the needs of the local people, such that the most sacred monarch over-wintering grounds can be preserved. Jose Luis' education initiatives in communities & schools have encompassed not only forest ecology but also watershed protection, sustainable living and planning for future generations. 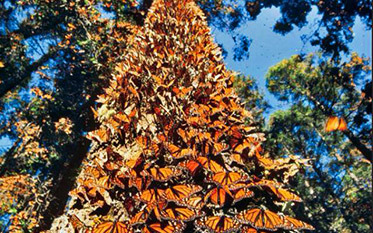 Jose Luis Alvarez has devoted his life to conserving Monarch butterfly habitat in Mexico. He’s traveling to Vermont this summer to help us do the same! A freak spring storm just struck Michoacan, Mexico leaving a foot of snow & putting the future of the Monarch Butterfly in jeopardy. The magic of the monarch migration from Canada through the U.S. and on to Mexico continues to be in existential jeopardy. Walking up the steep path through what remains of the montane forest at the Rosario sanctuary, it is hard at first to notice the monarch butterflies everywhere.